Alison Nevin's selfie with Pope Francis, clicked in Ireland. A 12-year-old Irish girl managed to do what very few have done before her -get a selfie with the Pope. 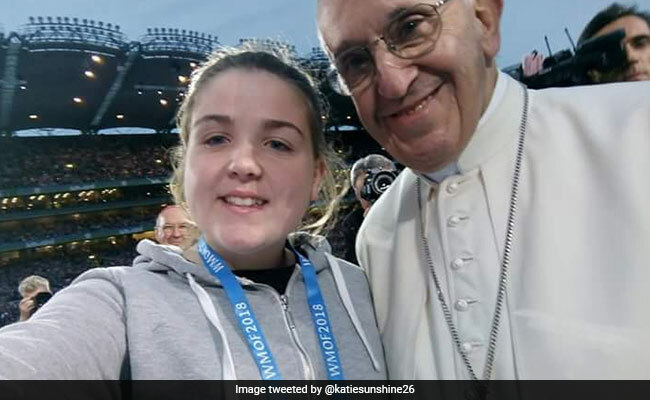 Alison Nevin from Dublin has been inundated with messages ever since her selfie with Pope Francis was shared online two days ago. According to RTE News, the enterprising 12-year-old hid her phone up her sleeve before boldly asking the Pope for a selfie at the World Festival of Families concert during the Pope's historic visit to Ireland. Alison says she was determined to get the selfie. "I asked a crew member and they said 'No, I wasn't allowed to take one' and then I snuck it up my arm and I took it out when I got up there and then I asked," she tells RTE News. "First I said 'Can I take a picture with you?' 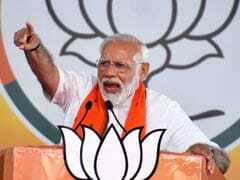 and he looked at me and then I had to point at my phone to ask him...and then he said to me 'Yeah' and then we took it and the crowd went mad!" The actual selfie was shared on Twitter by Alison's cousin, Kathleen. Since being shared online, the papal selfie has collected over 5,000 'likes' and hundreds of amused and impressed comments. In fact, reactions to the selfie have even been curated into their own Twitter Moment. This, however, is not the first time that Pope Francis has posed for a selfie. The first papal selfie ever was clicked in 2013, when the Pope broke protocol and posed for a selfie with a group of teenagers visiting the Vatican.